I have heard so much about Quinoa in last couple of years, didn’t even know about the existence of such a thing until then. Read more about Quinoa. After observing it for a while on many food blogs and watching my friends eat, I finally decided to try it. I bought a small batch from Whole foods and kept in my pantry. Yes, thats all I did. After few weeks, when I noticed it, I made something and we did not like it’s taste. So remaining sat in the pantry begging to be used. For last couple of days, I wanted to try it out again, thanks to a cookbook I was reading at that time. So this week, I again tried it and we loved the taste. This lemony Quinoa and a hearty soup was our lunchbox yesterday. I think I am going to try this again soon and also try some more recipes with Quinoa in near future. (I have no idea if this is available in India or what is it called in any other languages). Cook Quinoa according to package instructions in water or vegetable stock or chicken stock. Add salt while cooking. As the Quinoa I had did not come in package, I just cooked in salted water 1:2 (quinoa to water) ratio for about 10mins (covered). In a separate pan, melt butter and add onion, capsicum. When they are slightly cooked, add corn, salt and cook till corn is done. I used frozen corn which took just about 1 min to cook. 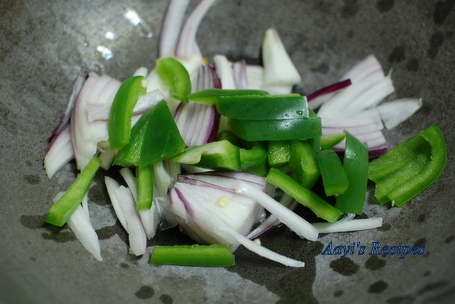 But if you are using fresh ones that take long time to cook, separately cook it and add to onion-capsicum mixture. Now add olives, pepper powder, jalapeÃ±os cooked Quinoa and mix well. Add lemon juice, mix well and take off heat. Serve hot. Quinoa and I have had the exact same relationship. I made it once and didn’t like it and now have a nearly full packet sitting in the cupboard. You’ve inspire me to have another crack at it. I make this for my vegetarian clients all the time…so versatile. I have also heard a lot about quinoa but have not yet used it in any dish. Thanks for the recipe. I used to hate quinoa too and for years haven’t touched the stuff. But recently (2 weeks ago!) started cooking it again and it isn’t bad. It MUST be washed very very well before using or it is bitter. I think in the past I never washed it well and I also undercooked it. Quinoa is great – I use it a lot in my cooking!! How do you carry soups to lunch? Please also add comments on the kind of boxes you use to store an item . I have Snapware Glasslock boxes which are leak proof and microwave safe. I love Khaman & with my recent tests showing high LDL(the bad cholesterol)I would love to try more non wheat based recipes.Do you mind sharing your Khaman recipe using the Quinoa ;I would love to try it out. I’ve also been cooking quinoa with a similar recipe. I just use the lemon rice recipe and replace rice with Quinoa. Rice can be replaced by quinoa in any recipe that has rice in it – masaale bhat, phodnicha bhat, lemon rice, etc. Quinoa can be cooked exactly like rice in rice cooker, pressure cooker etc. just add a little less water than rice. Quinoa grain comes from South America and it is not known or available in India. Therefore, there is no word for it in any of our Indian language. I am going to take it to India in my trip this year. what is quinoa called in hindi or marathi ? Hi,thanks for the recipe.i used quinoa like rice .i have prepared pulao ,bisibele bath,kichadi,and also patty for burger,and also like aloo tikki.patty and tikki was delicious like regular one. 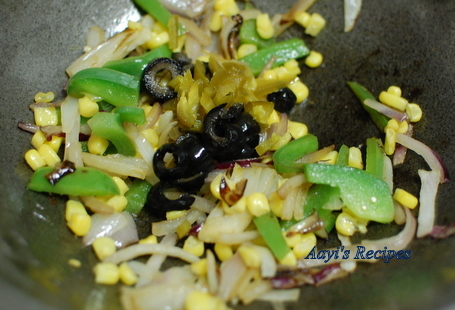 Hey Shilpa, I came across this site today, I like to try this recipe this weekend. 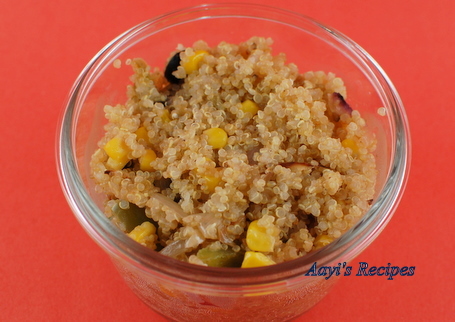 Quinoa is called ‘Thinai Arisi’ in tamil. 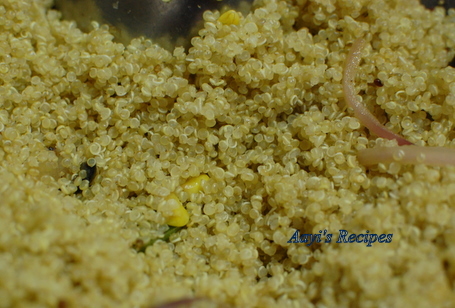 Quinoa and Thinai Arisi are not same Chitra. 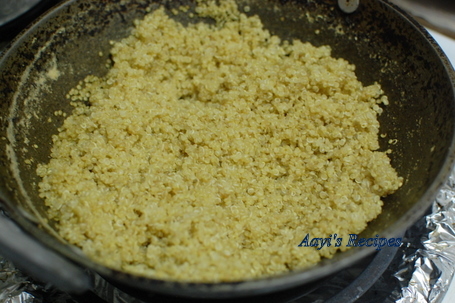 Thinai arisi is foxtail millet according to many articles I found online. Read wiki about quinoa.